Not Possible IRL: Oh that Pandora Wrigglesworth! She has done it again! Oh that Pandora Wrigglesworth! She has done it again! "Now is your chance to show that snooty Marie Antoinette who the real queen is. 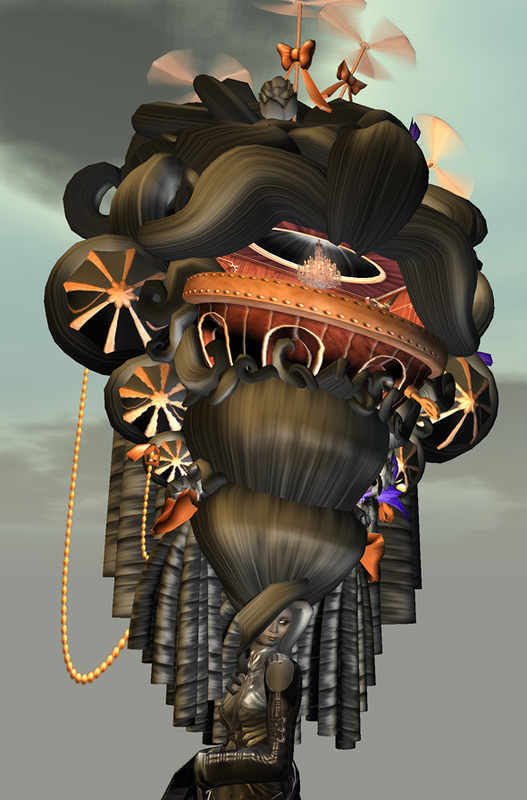 Rococo Fantastico is the biggest hairstyle you will ever see. It takes six zeppelins and four propellers just to keep it up! Includes clockwork ballroom with porcelain dancers. Choose your own color, bows, flowers, and style!" So indeed, Rococo Fantastico comes with a full menu which allows you to decide on the colors of all its components and even gives you style options. Needless to say, I immediately went for the dark steampunk style. However, in the event the menu turned out to be a bit of a lifesaver beyond all of the stylistic issues: I was somewhat dubious prior to acquisition whether I would actually be able to wear this - the problem being my one pride and joy in this life; my ears (well, my tail too of course, but it is all an ensemble you know...). My ears must be visible at all times! This is indeed the one area in my life where I would rather die than give an inch. After all, I only have 768 pairs of them and visible they must be. (Not all 768 of them at once obviously - but I am sure you get my drift). But, I need not have worried: The construct - I hesitate to call it by such a banal phrase as mere "hair" - has a handy little re-sizer built into the menu and thanks to this piece of state of the art technology I managed to size down the hair to the point where my ears did in fact become visible. A bit of a mohawk style it ended up being but I quite liked that too for some reason. I may or may not wear Rococo Fantastico. Who knows?... The occasion may indeed present itself! 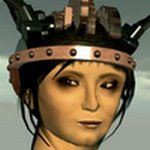 One thing is for sure though, if it weren't for the prim count and the fact that I am running perilously low, I would rez it on Syncretia in a nano second. This is utterly utterly wonderful! You can teleport to Curio Obscura, Pandora Wrigglesworth's shop, directly from here. SO I saw this and had to have it immediately, having loved other curio obscura items. It is fabulous.. so where does one go when one has such large hair? 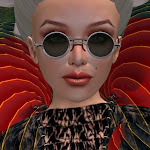 Well of course I made a beeline to gurl6 hair and spent an enjoyable 30 mins perusing the hairstyles whilst awing noobs. Hair is not just for high fashion! Ooh I saw Eolene with one of these. Gorgeous! Reminds me of this. I am SO curious. 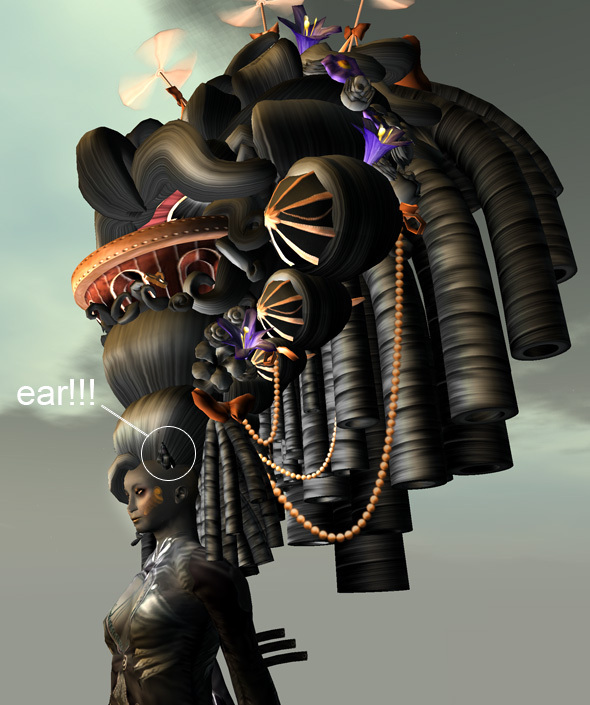 How many prims is this hairdo??????? 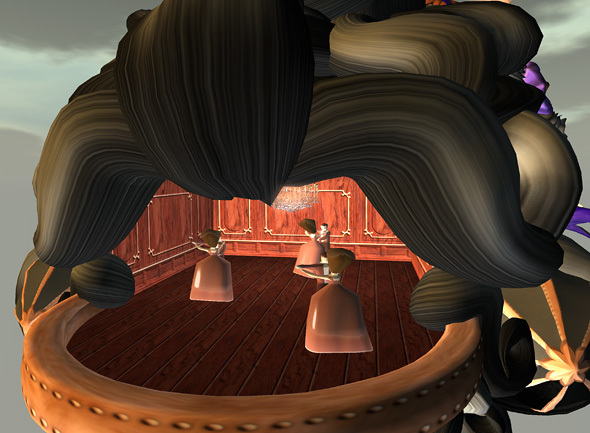 The Rococo Fantastico Hairstyle is 255 prims.